Back in January, PUBG added a replay feature that allows players to create videos of their matches from any angle resulting in some very interesting creations. Last month Nvidia launched a website dedicated to video game photography. Many games including Assassin’s Creed Origins, Gran Turismo Sport, and many many others have photo modes. Even Super Mario Odyssey has one. So maybe it should come as no surprise that Sony’s blockbuster hit God of War just added a photo mode with yesterday’s update. Patch 1.20 includes a fix that increases text font size throughout the game for better readability and has added a setting to remap the Rage Mode toggle. Version 1.20’s highlight though is Photo Mode. Normally, I don’t get too excited about such features, especially on the PlayStation 4, which has a native camera/video app. However, with a game as gorgeous as God of War, it deserves a mode to capture the best angles, and Photo Mode does this and so much more. The new feature is loaded with options and taking screenshots can actually be fun. That is not something that I thought that I would ever say about a photo taking app in a video game. Of course, the photo mode in God of War has all the standard features that you would expect. You can move the camera freely around Kratos and Atreus to capture any angle you please. From above or below, distant or close-up, the camera can roam freely (to an extent) within in the environment. The mode has sliders adjustments for field of view, focal length, camera roll, focus distance, F-stop, film grain, and exposure. Using the sliders allows you customize your depth of field so you can get great shots even if it is of a distant mountain or cave entrance. However, there are also two DoF presets one that focuses on Kratos and one for Atreus so you can quickly make either of them the subject of your shot. The mode also has 12 filters with a slider to adjust the filter’s intensity, vignette with intensity and falloff adjustments, several borders and aspect ratio settings, and you can even add a God of War logo to the shot if you like. All these options allow you to create some great pictures, but it is the “Character Settings” that makes the photo mode fun. First of all, it allows you to turn off characters in the frame. Say you have a great action shot of Atreus shooting a draugr in the eye with an arrow, but Kratos is standing there getting in the way of the perfect angle; that’s okay — turn him off, and he’s gone. You can also turn off Atreus or any other character getting in the way. The Character Settings also allow you to change the facial expressions of both Kratos and Atreus and this it is great because let's face it, sometimes the characters face does not convey the mood that you are trying to create. 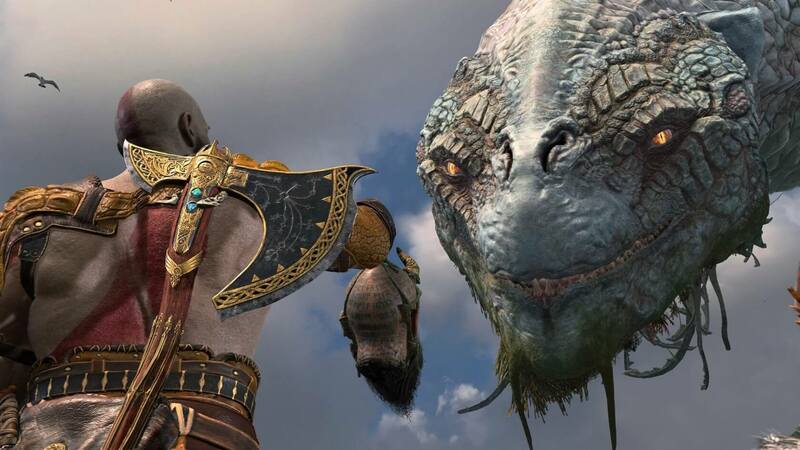 For example, if your screenshot has Kratos as he is finishing off an enemy, an expressionless face will just not do. You can give him a fierce and angry look, or if you want to be funny, you can have him winking at the camera. It adds a whole new dimension to capturing that perfect picture, and I had a lot of fun playing with it. With 4K gaming on the verge of becoming the standard, it is no surprise that developers are working a little harder at adding photo and replay modes to their games. God of War is a beautiful masterpiece and deserves a way to capture that beauty and share. It's only surprising that they did not include it from the beginning.